First, check the radio button Existing user. First, select the user from the drop-down menu or start typing his display name for quick search. 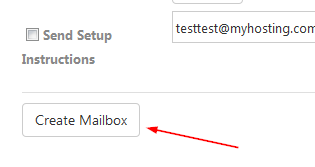 Then select the Mailboxplan (mandatory) and Retention Policy (optional). If you thick Send Setup Instructions, instructions will be sent to the specified email address.